The striking cliffs and lush Hawaiian landscape are the backdrop for the final event of the women’s 2015 Samsung Galaxy Championship Tour, the Target Maui Pro at Honolua Bay. Over the last nine months Carissa Moore (HAW) and Courtney Conlogue(USA) have traded blows to emerge as the 2015 World Title contendersheading into Maui, stop No. 10 on Tour. 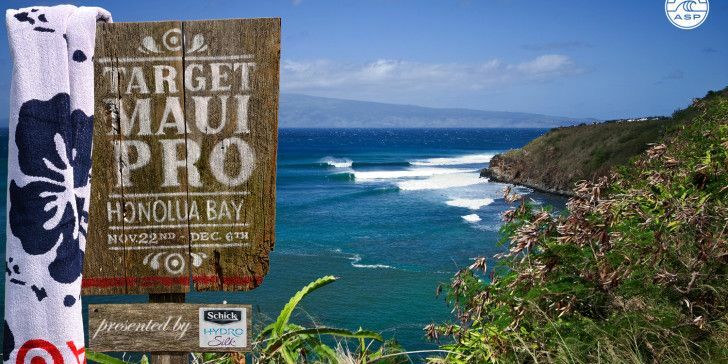 Watch the Target Maui Pro live on the World Surf League website and WSL App starting November 21 to catch incredible surfing and see who will be crowned the 2015 World Champion.